i used to be on here long ago, screen name maryellen. however i forgot my user name and password and changed my email years ago as i moved ... so here i am again with a new user name . 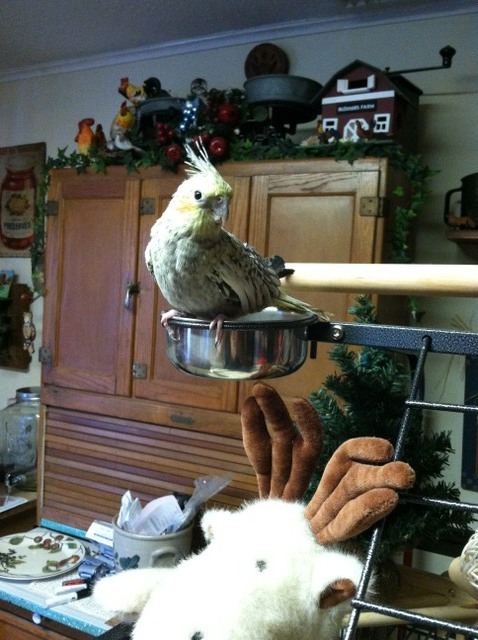 Rufus is still here, he turned 13 in August. has laryngael paralysis and kidney disease but still kicking strong . so i live in nj, used to do rescue. was active here posting years ago. life changed, me and rufus moved for the better 6 years ago. he was adopted from the burlington county animal alliance in burlington nj 13 years ago. one of the best dogs i ever had. i dont do rescue anymore, i will help out if someone needs help. I'm so glad to hear you are doing well. I'm afraid I'm getting ready to go through the same, at my age I"m not looking forward to it. A few of us are reviving the forum and you are just the member we need If you know anyone else that drifted away over the last few years tell them to check in. aw thank you, that made me feel warm and fuzzy! yeah i got used to FB and posting pics from my android so gotta get used to using my imageevent album again. oh no i am so sorry you might be going thru what i did:( if you need to talk let me know ill pm you my number so you can vent to me all you want. alot of the old members are all on facebook. 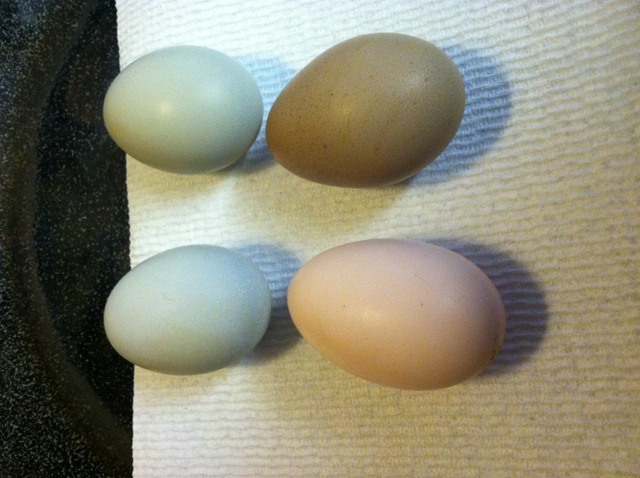 the other one, Hawkeye, she is an Easter egger and lays blue eggs.. Buffy the silkie when she isnt broody lays small off white eggs. 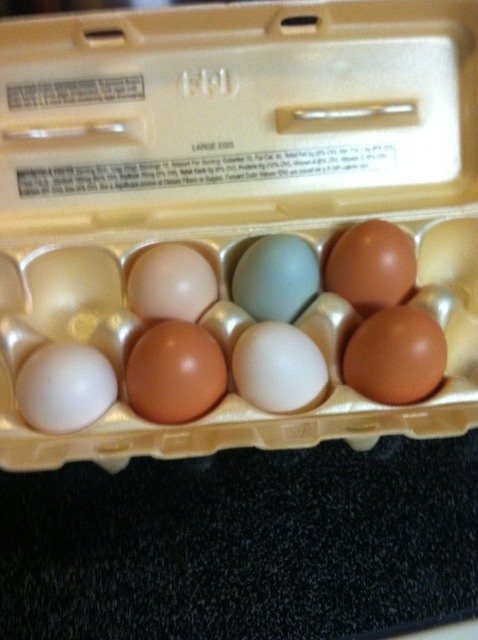 i get blue, light pastel blue, green , olive green, white, off white, pink, tan and brown eggs. and after a year of slow training rufus can be out with the chickens off leash, supervised , but off leash and he doesnt chase them to eat them. but he must be supervised.. sadie and casey our gsd and lab are rock solid with the chickens, so they are safe with them unattended. 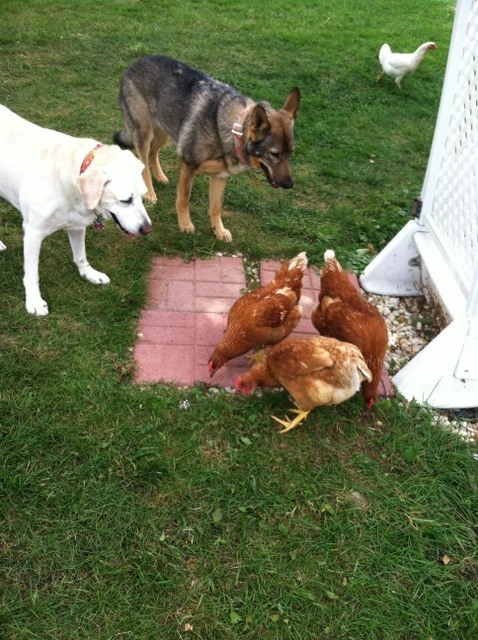 Sadie my gsd and Sierra a foster dog i had 2 years ago with some of my chickens. Hi there ! It looks like your previous username still exists. I can point your previous username to this new email if you'd like ? Then I would send you an email with a temporary password you can use to get in and change it. Let me know. Glad to hear you are doing well and that things are going well for you. Sometimes a change is the best thing. Rufus is such a good dog, I am happy he is still around, and Sadie is lovely. 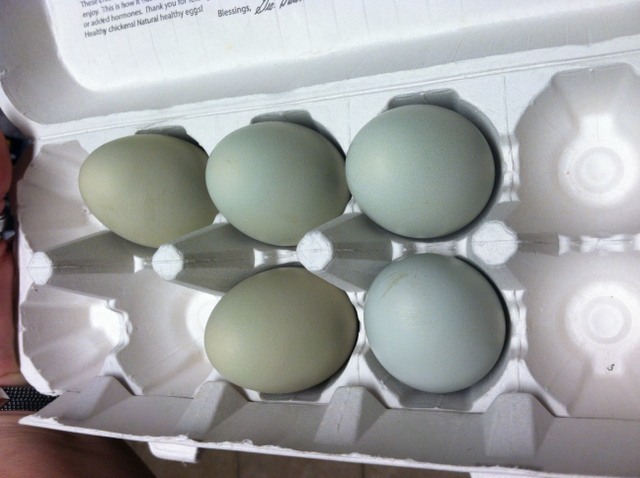 And the chickens are pretty neat too. I thought about getting some here but we still travel a fair amount so I don't think it would work too well. 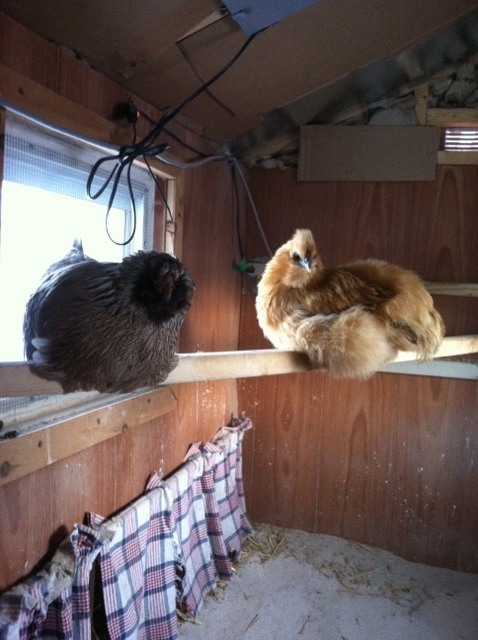 Plus we have a lot of foxes here and they like chicken a bit too much. I lost my Fremiet last Jan and still miss her very much. I could not stand the empty house and got a pup in July. She is now 8 months old and wears me out. I am finding out why older folks do not get puppies, LOL. But she will grow up eventually. She's in heat now and I take her in the car out by the new hospital to walk her each day, there are no other dogs out there. I am happy to see the forum up and going again and I'll have to stop in more often. hey - nice to see you! !